Will we will be able to meet the growing global demand for food over the next few decades? Will we be able to do that in a way that does not degrade the environment? Surprisingly, the answers depend on how well we manage the soils we farm. Soils are not just dirt. They are dynamic living systems with highly complex physical and chemical properties. Whether they are healthy and have desirable features depends on how they are tended, and historically many farming practices degraded soil quality rather than improved it. Fortunately, over the past several decades we have learned a great deal about how farmers can significantly build the quality of this critical resource. It is extremely important that this knowledge is extensively applied (I will be specifically addressing the situation for the millions of acres of rain fed, row crop land in the American Midwest). Healthy soils are rich in "large aggregates" - collections of the base minerals of the area (sand, clay, fragments of parent rocks, etc) which are held together with the living organisms and life generated complex polymers like humus from broken down plant matter and glomalin from beneficial fungal growth. These aggregates are loosely arranged with many "macropores" created by past plant roots and by the work of earthworms and other tunneling organisms. Water is able to quickly infiltrate into the soil, even after heavy rains or rapid snow melt, and be stored for later use. Because of the rapid infiltration and the aggregated structure of the soil, there is little, if any, runoff that moves at a velocity which would carry silt, fertilizers or chemical residues into neighboring streams. A healthy soil is thus more "drought proof" and far less likely to contribute to water pollution issues. Because of the macropores, a healthy soil is better aerated. Oxygen is available for the needs of plant roots and there are fewer instances where oxygen becomes limiting. That leads to better crop growth and far fewer events where anaerobic soil microbes make the "trace greenhouse gases" nitrous oxide and methane which are a major part of agriculture's contribution to climate change. Healthy farmed soils can, under certain scenarios, "sequester" carbon dioxide from the atmosphere - something which could, over hundreds of millions of acres - be a significant mitigation strategy for climate change. Healthy soils are also lively places with many fungal and bacterial symbionts that help plants better absorb nutrients and biologically "fix" their own nitrogen supplies. Some also help to suppress pathogens and nematodes that might otherwise damage their roots. Between the cycling population of microbes and the stable soil aggregates, a healthy soil is a good buffer for the nutrients that plants need - preventing them from being wasted by moving to surface or ground water, and evening out the supply over time. How Does Nature Build Healthy Soils? It turns out, not surprisingly, that the best way to build soil in a place like the American Great Plains is to imitate the way that nature builds soil. Before that region was put under the plow in the 1800s, the prairie grasslands of the US Midwest had wonderfully healthy soils - particularly in the Northern tier where the parent mineral base is deep and well drained because of the influence of glaciation in the last Ice Age. Nature builds soils from the top down. The above ground parts of plants from each season fall onto the ground and slowly decompose. In the meantime they protect the soil from the splashing assault of rain drops and they block the evaporation of moisture from the soil surface. Natural soil building does not involve physical disturbance - things like plowing. The other main feature of the prairie ecosystem was that there was a mixture of perennial and annual plants growing and feeding the soil biosystem via their roots for as many frost-free days as each season allowed. Normal row crop farming involves a great deal of soil disturbance. The crop residues were normally tilled under at the end of the season leaving the soil exposed. Some weeds might grow between crops, but the soil is not being fed nearly as much as in a prairie ecosystem. Finally, the soil is compressed by the passage of heavy farming equipment. Under these conditions soils tend to decline in quality over time. How Can Farmers Imitate Natural Soil Building? Starting in the 1960s, farmers have been developing ways to farm that don't involve much if any tillage or other disturbance of the soil. Crop residues are left on the surface where they protect against erosion and block evaporation. The full season soil feeding of a grassland can be imitated by the planting of cover crops which grow between one harvest and the next planting. These cover crops can include legumes that help to produce nitrogen for the next crop or alternatively they can scavenge nitrogen or other nutrients that remained in the soil both to save them for release in the next crop cycle and to prevent them from becoming pollutants. Without periodic tillage, soils can become compacted. Fortunately, GPS and even more sophisticated guidance technologies, now allow farmers to practice "controlled wheel traffic" meaning that no tire ever drives over most of the area of a field so that soils remain well aerated. Precision fertilization can then ensure that no nitrogen fertilizer is placed in the compacted tracks so that it is much less likely to be released as nitrous oxide. A combination of these practices: continuous no-till, cover cropping, controlled wheel traffic and precision fertilization does a very good job of increasing soil quality over time. These soils are more "drought proof" because they capture and store water better. They are more fertile because of nutrient buffering in the improved organic matter. Over time, the "weed seed bank" is diminished because tillage does not keep exposing more seed. These soils are very good at preventing pollution of both surface and ground waters with nutrients. They can, under the right circumstances, lead to a net sequestration of carbon in soils. How Does This Compare With Soil Building in Organic Farming Systems? The founders of the organic movement early in the 20th century were far ahead of their time in their appreciation of the importance of building soil quality. Although it is not a required element for organic, cover crop is a more common practice in organic. However, one of the main ways that organic farmers improved soils was by bringing in large quantities of manure, compost or other organic amendments and tilling these into the soil. This practice does in fact improve soil quality over time, but not in any way that imitates nature and it has its own environmental issues. Because organic farmers have little if any option for herbicides, tillage has been the main way that weeds are controlled. Recently there have been efforts to develop a "roller-crimper" system to do no-till in organic. The most practical use of a roller crimper by be in combination with herbicides (as has been a practice in no-till systems in South America). So How Much Of This Kind Of Soil Building Farming Is Happening? Some, but not enough. I don't want to imply that it is easy for a farmer to manage land in the way described above or that it is a one size fit all solution for every situation. It takes the integration of many technologies and presents its own set of practical challenges. Although such a system is ultimately more productive and more stable, there can be difficulties during the transitional period. Residue covered soils can be slower to warm in the spring and can harbor different pests. 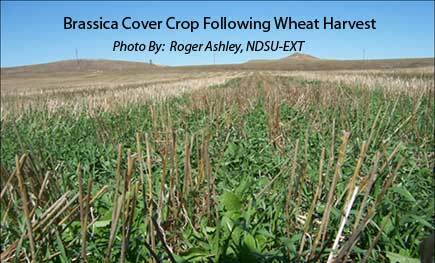 It is logistically difficult to get a cover crop planted during the busy harvest season. Specialized equipment is required. All of this is further complicated by the fact that most modern farmers lease a substantial proportion of the land they tend - typically on an annual cash rent basis. The building of soil quality is a wise long-term investment, but only if a farmers knows that he/she will be the one tending that land in the future. Although there are very significant areas being farmed with one or more of these ideal practices, the full suite of soil building approaches are probably only being applied on a small percentage of the total area. There is a real need for developing more enlightened and long-term land lease structures and agricultural credit policies to enable more farmers to be in the business of building soils for the future. You are welcome to comment here and/or at savage.sd@gmail.com. 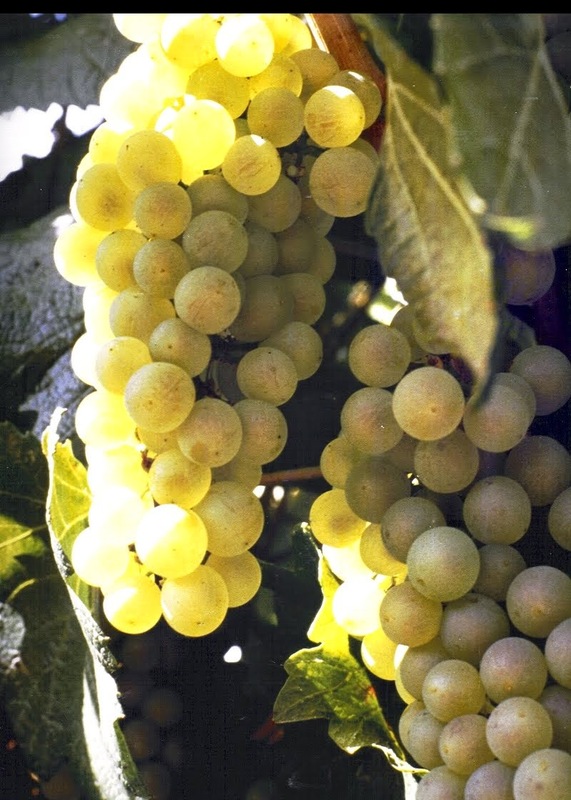 To learn of future posts follow @grapedoc on Twitter.